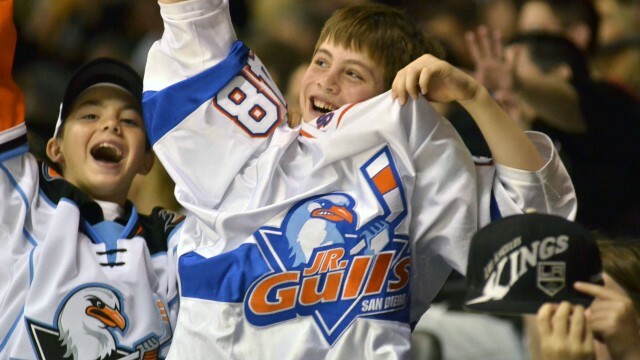 The San Diego Gulls will conduct Military Weekend for their games Friday and Saturday at Valley View Casino Center, including providing free tickets to more than 4,000 military members and their families. Military families will unfurl an American flag on the ice before the playing of the national anthem preceding Friday’s American Hockey League game against the Stockton Heat. Marine Corps Chief Warrant Officer Colin M. Cooper and Marine Corps Master Sgt. Eric W. Franklin will be honored as the Military Heroes of the Game. All fans in attendance will receive a free Gulls camouflage hat. Fans can take free military-themed photos in the interactive photo booth on the north concourse, near Section 6, and post them online for a chance to be featured on the arena’s video screen during Friday and Saturday’s games. Military vehicles will be on display during Saturday’s pregame tailgate party, which will be held from 5-7 p.m.
Service members and their families can skate with Gulls players following Saturday’s game against the Ontario Reign. Fans must register at the Section 10 booth. Tim Mathues, the veterans outreach coordinator for San Diego County’s Office of Military and Veteran Affairs, will be honored as Saturday’s Military Hero of the Game. Free parking will be provided for both games for anyone with military identification. 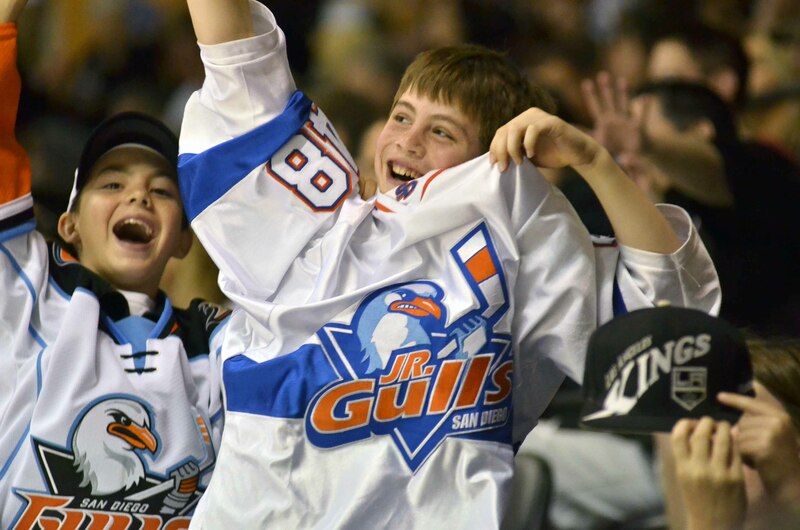 The Gulls will wear new, custom camouflage jerseys each night during Military Weekend. Select game-worn Gulls camouflage jerseys will be autographed and available for a silent auction following Saturday’s game on the concourse at Section 10. A limited number of game-worn camouflage jerseys will be available via the DASH Auction app, which can be downloaded via iOS or Android devices in the app store. All proceeds raised from the auctions will be donated by the San Diego Gulls Foundation to the Armed Services YMCA and Operation Rebound of the Challenged Athletes Foundation.